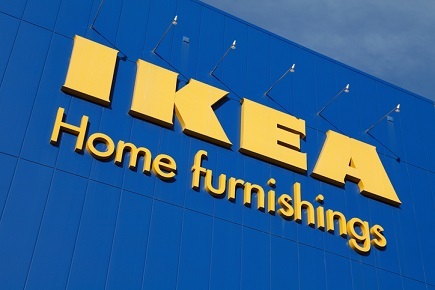 All employees of Ikea India will be entitled to 26 weeks of paid parental leave on the birth of a child, the global furniture retailer has announced. The policy will also apply to adoptions, and surrogate and single parents. In addition, mothers will also have the choice to halve their working hours for another 16 weeks. The move comes after a bill passed by the Indian Parliament two weeks ago that raised the amount of paid maternity leave available to new mothers working in the organised sector, with the benefit set to last for 26 weeks instead of 12. The new law will apply to all organisations with at least 10 employees but women will only be allowed to take the 26 weeks for their first two children – for the third child, they entitlement will remain at 12 weeks. A 2015 survey by the Associated Chambers of Commerce & Industry of India found that a quarter of new moms quit their jobs after their first child to raise them. But most also said they plan to shift their focus back on their careers after their kids start going to school. “However, many of those willing to pursue their career again after a few years of motherhood said they do not want to return to the same job due to fear of discrimination,” said the survey. "For us co-workers are no less than a family and it becomes imperative for us help them through an important phase like this of their lives," Anna-Carin Månsson, Ikea India's head of human resources, said in a statement. Striking a “balance between work and family” is the biggest challenge facing women in paid jobs, according to a large-scale survey of by the International Labour Organization (ILO) and Gallup. Both men and women in the vast majority of countries and territories surveyed said so. The ILO also mentioned that paternity leave may benefit women, as increased participation of men in household activities allows women to better balance professional priorities.